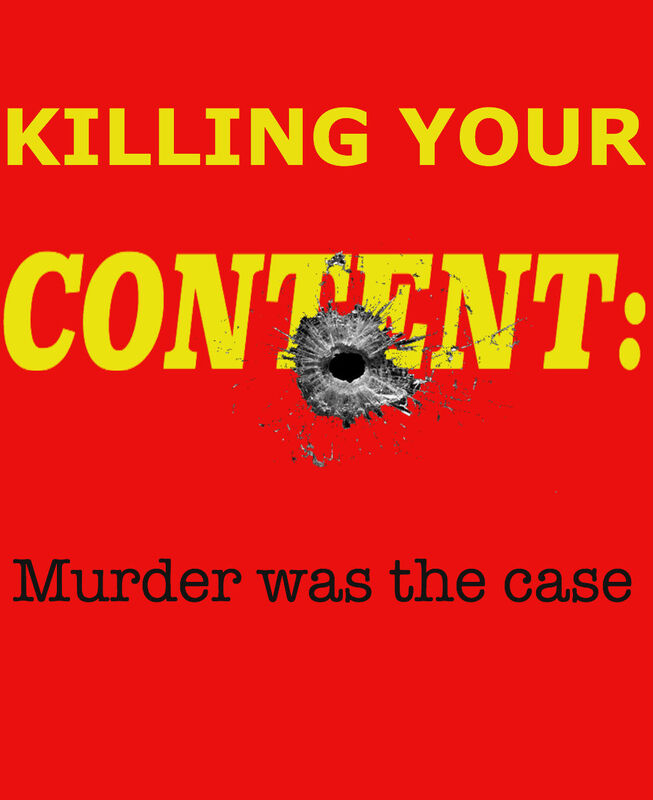 If you’re in the game of using content to market your business, it would obviously be counter-productive to get into bad habits that literally “murder” the effectiveness of your content. We speak to people all the time, who take the advice of their cousin’s buddy who does that “SEO stuff”, about the best ways to create and manage content. As we’ve discussed before, you’re going to hear different people tell you different ways to handle your content. This time around, instead of focusing on best practices, lets take a look at the things you don’t want to do, that negatively impact your content marketing efforts. For all of you content pro’s out there, this may seem pretty rudimentary to you. This is definitely one for those trying to get a better handle on the concept of the good and bad habits of content marketing. Content is best served as a single serving. Think of it as a unique creation that should not be duplicated under any circumstances. Some people believe that if they have more than one website, putting the same content on different websites (let alone the same website) will not have any negative affect on their search engine optimization. Well those people are what are commonly referred to in Content Marketing circles as “wrong”. Remember, search engines operate on indices, and where content is placed on these indices determines how they are found when searchers enter their searches in search engines. Duplicating content confuses search engines ability to direct the link metrics to the correct page. In other words, it’s like a bloodhound given two identical scents in two different areas, and told to go and find the one scent. It will sniff around for one scent, and may not be successful because it’s looking for a unique scent, with one trail, in one area. Ultimately, duplicating content will mess up your search rankings and potentially nullify your content in suitable indices. If you don’t know already, creating content that solely promotes your business is a definite way to put your marketing material in the content morgue. So do not get into the bad habit of creating content that is totally focused on your business in an attempt to shamelessly promote what you do. There needs to be a clear understanding that your creating content for people to find your business online. If they knew about you already, they would be entering your business’ name into search engines, instead of words/terms that correlate with your business in one way or another. So for those who have yet to crack first-page ranking, remember that people don’t know who you are, so they won’t be searching for you. 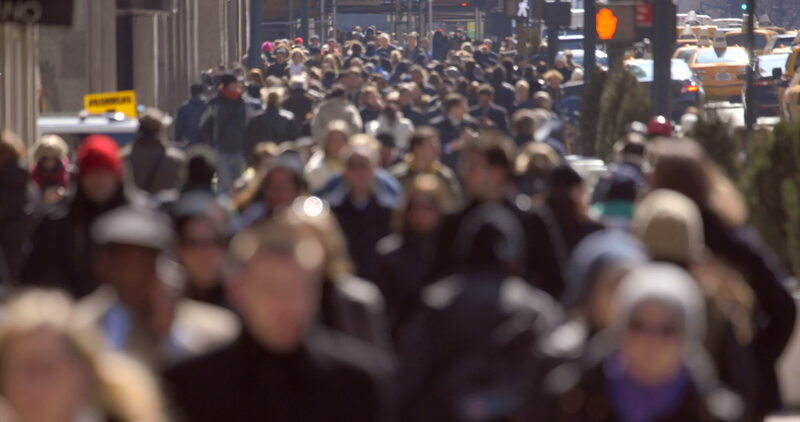 To be noticed, you need to offer content that has some value them. Graciously accept the role of the expert in your relative field, and use that expertise to create relevant content that will help you become SEO primed. Creating articles/videos that in some way help readers/viewers is one of the keys to being successful in optimizing your website for searchers who could potentially become customers. 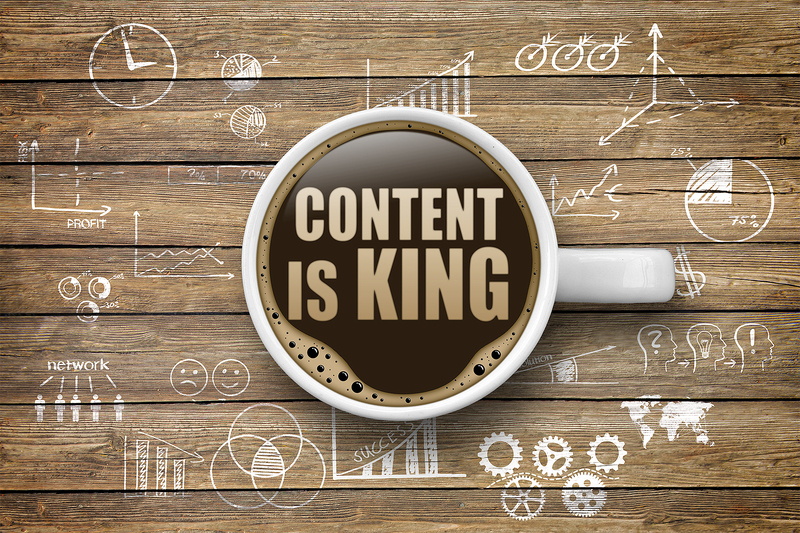 So filling your blog or website with stuff that is not relevant to those looking for pertinent content is a sure way to make your content irrelevant. Now years ago, when the success of website SEO was largely dependent on the keywords being used, someone got the bright idea of repeating the same keywords throughout the tags and text on their site to come up in more search results. Since then, keyword stuffing has become a big “no-no” in the world of SEO and subsequently content. Search engine algorithms have become quite adept at honing in on repeated keywords, and penalizing the culprits with lower rankings for their lucid attempts at trying to trick algorithms. Remember, there is no way to trick algorithms. You are no “Neo” and this is not the Matrix. They have been programmed with set rules and guidelines, and you won’t be able to pull a fast one on them. Besides, repeating the same keywords ruins your credibility. Beyond offending algorithms, savvy readers will easily pick up on the use of repeated words, and will be turned-off from your content. So what is the use of going through the motions of creating content, only to neutralize it’s effectiveness by keyword stuffing? Keep readers engaged by making your content unique in every way. Even with the words that you use, and how you use them.